When I use cabbages on dishes you can bet that there will always be leftovers as cabbages tend to be huge and cooking them all at once makes no sense, which is why when we have cabbages the leftovers are used for experiments, a new dish that we can try it with like stews and stir fries. Having said that this is one good example of it, Stir Fried Napa Cabbage and Shiitake. 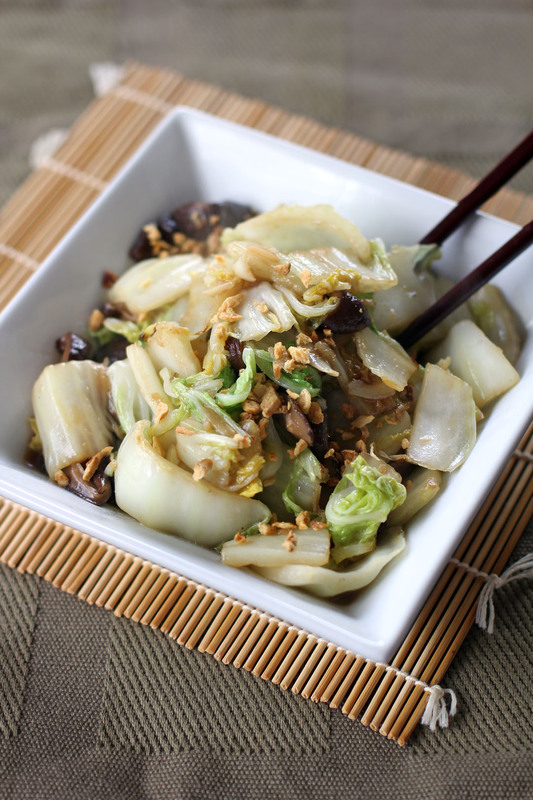 It’s a simple dish of stir fried Napa Cabbage with Shiitake, really simple to make and this specific vegetable absorbs lots of flavours from the oyster sauce to the earthy mushroom flavours, so you can munch this on its own or have it as a side dish. Combine together oyster sauce, Chinese cooking wine, cornstarch and ¼ cup water used to rehydrate mushrooms. Mix well then set aside. Add mushrooms and stir fry for a minute. Add the white part and stir fry for 3-5 minutes or until partly wilted. Then add the green parts of the cabbage, stir fry for a minute. Add the combined sauce on step 1 then stir fry for 1 more minute. Season with salt and freshly ground black pepper. 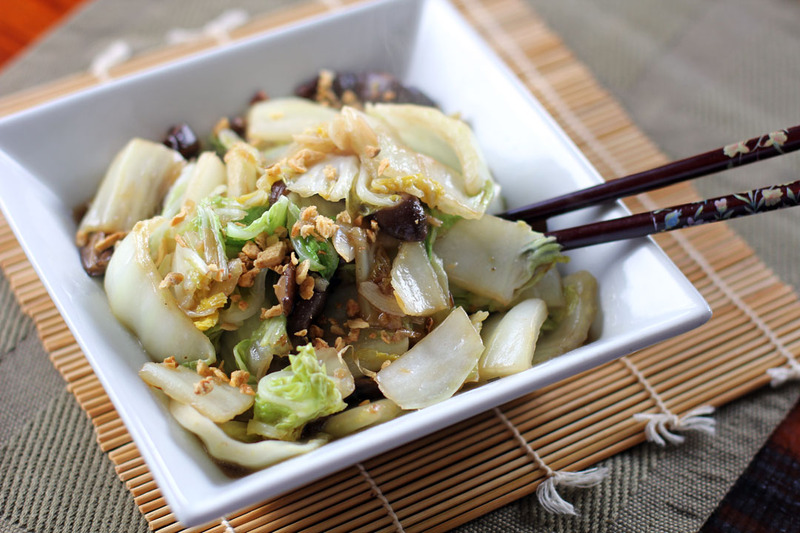 Oh, looks fab, Raymund – I love cabbage – thanks for sharing – there’s always some cabbage to use up! I like this. Best served piping hot. I also love Chinese cabbage in soup – bring the clear soup base to boil and dropped the cabbage in to cook and serve right away – nicer than throwing everything too early and cooking for too long. Looks delicious Raymund…talking about Chinese cabbage, I have one int he fridge…like it simple!